Imagine. Your congregation is thriving, carrying out meaningful and life-changing ministry. And, as part of the Covenant and the Midwest Conference, your ministry reverberates throughout the region, across the country, and around the world. The Covenant is a growing, multiethnic, multigenerational mosaic of churches impacting more lives in more ways in more places than at any point since our founding in 1885. But we never have and never will believe the work of your congregation, the Midwest Conference, and the Covenant is easy. It requires the very best effort and very deepest commitment from every strand. On our own, we are less than we can be. But woven together, a hopeful and fruitful future awaits. The overarching mission of the Covenant is to partner together to see more disciples among more populations in a more caring and just world. To accomplish that, we pursue five mission priorities: start and strengthen churches, make and deepen disciples, develop leaders, love mercy do justice, and serve globally. In the Midwest Conference, we give particular attention to starting new churches, strengthening existing churches, and developing missional leaders. We believe the local church is God’s basic strategy for reaching the world. And so the aim of the Midwest Conference and Covenant is clear: to serve our churches and unite our churches in service together. 125 new congregations in the United States and Canada. The Midwest Conference has a 10-year goal of 45 additional churches with 25% of conference churches being ethnic or multi-ethnic and at least 15% led or co-led by a female pastor. 50,000 new followers of Christ, of which 5,000 will be in our conference. 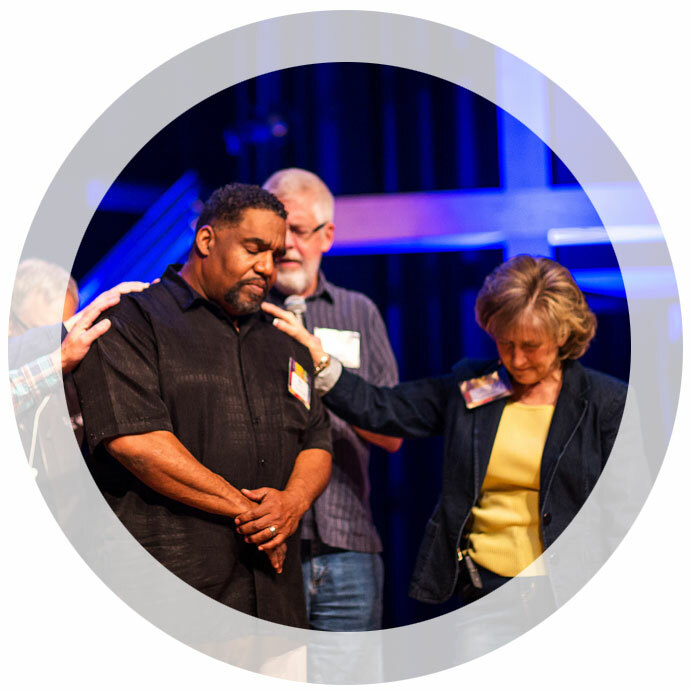 The Midwest Conference has a 10-year goal of 8000 more disciples engaged in mission. 500 newly credentialed clergy. The Midwest Conference has a 10-year goal that 30% of our ministerial community will be female pastors.